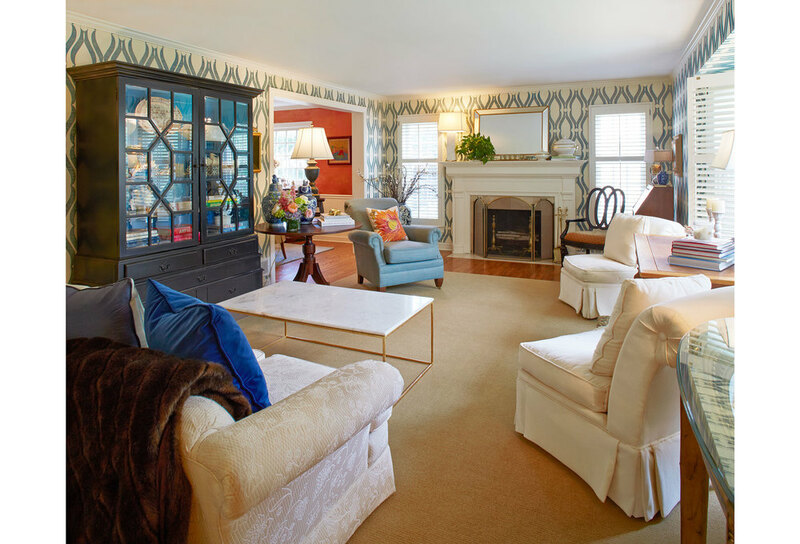 What better way to showcase Katie Bassett's signature style than with a beautifully designed and furnished house? Situated in Edina's gracious Country Club neighborhood, Katie's studio brings her relaxed, colorful aesthetic to life. 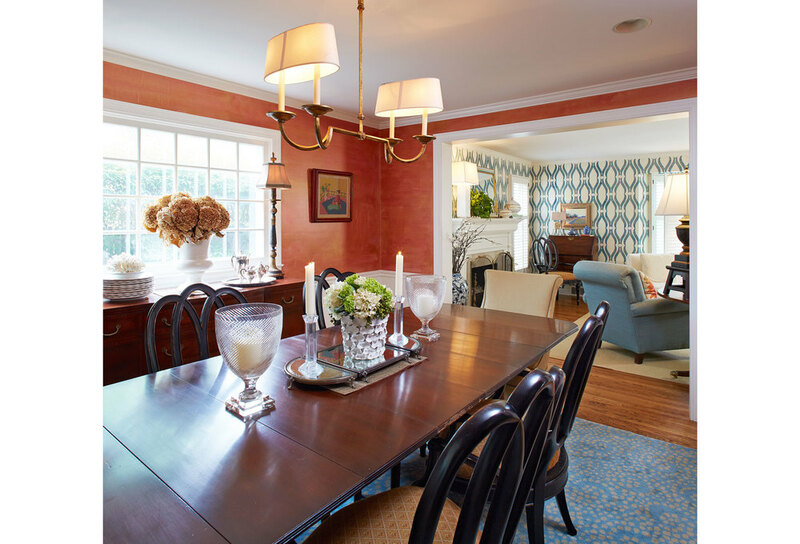 From the foyer to the family room and the sun porch to the outdoor patio, each space is finished with Katie's collections of furniture, antiques, art, and other treasures found on her travels in Florida, Arizona, New York, Europe, and Scandinavia. Whether clients are stopping by for a quick cup of coffee or spending the afternoon reviewing fabrics and furniture selections, Toby, Katie's beloved Westie, is always on hand to greet visitors at the front door.